SRINAGAR: The Departments of Law and Religious Studies organised two extension lectures at Nowgam-I academic block here on Saturday. 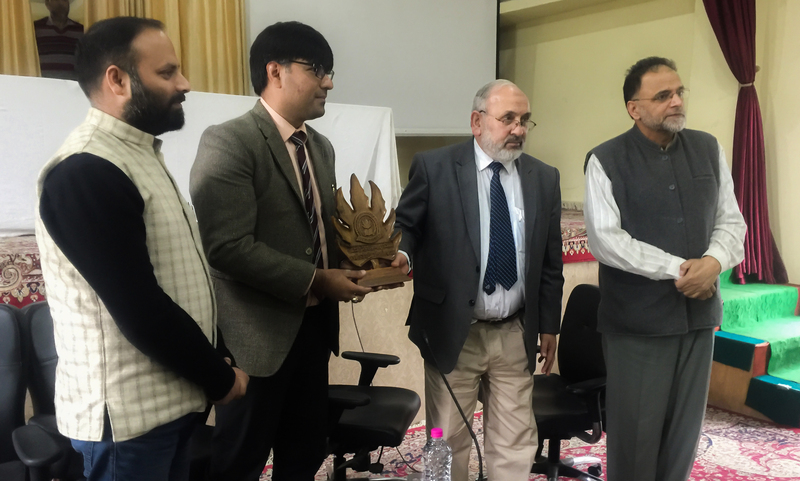 Mr. Mazyar Ahmad, a research scholar in Maritime Law, delivered the lecture to the scholars and students of the Law Department in the presence of Vice-Chancellor, Prof. Mehraj ud Din Mir. Mr. Mazyar discussed Maritime Law, its relevance and differences from international commercial law and international public law. He highlighted various aspects of the maritime law and informed about its shortcomings in the present world scenario. He informed the students about various opportunities and avenues in different branches of law, especially in maritime law.